Help me pick a lace shawl to knit! I'm having a baby! In about 5 weeks! 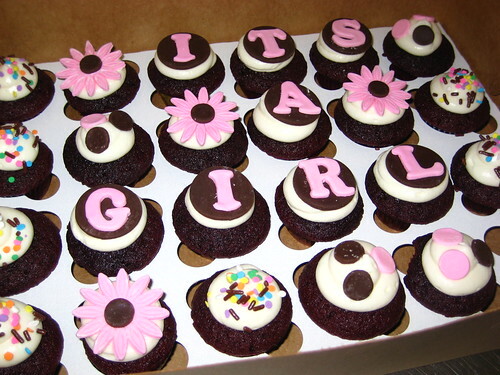 And it's a girl! Naturally, having a baby means I have yet another reason to craft. This time, even more so. This will be my third girl and fourth child. I've started a tradition with my first two daughters. Both of my daughters have worn the same Swiss dot blessing dress that my mother made me for my baby blessing (a bit like a christening), and which my sisters wore for their blessings. 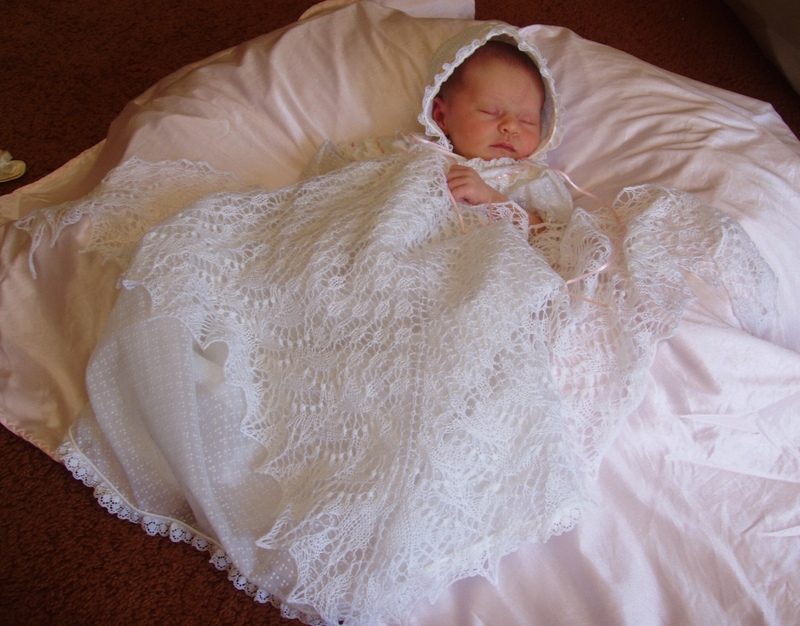 To go with the white dress, I wanted to make some sort of blanket for each of the girls—but my first two daughters were both summer babies, and most blankets would be too warm. So I had another idea: why not make a lace shawl? I've always loved the idea of knitting lace, and I also love the idea of giving the shawls to my daughters on their wedding days. For my older daughter, I bought the back-issue magazine with the Swallowtail Shawl pattern from Interweave Knits. Now, four and a half years later, the pattern is free. It took about three weeks to knit—including taking time off to actually have the baby! 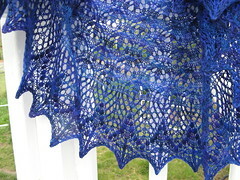 This shawl is the Aeolian Shawl from Knitty online magazine. It's also free! I knit the shawlette size and omitted the beads from the pattern. It took me two weeks to knit. Both of these were made from the same skein of Baruffa Cashwool laceweight yarn in white. 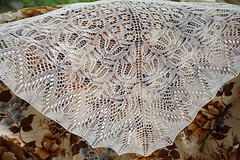 (It was some of the only natural fiber laceweight wool I could find in white!) Each took a little over a third of the skein, so I hope I have enough left! Since the day I finished my last shawl, I've been collecting patterns for another. I've got a collection of 18 patterns and now I have to choose one to knit! Both of the previous shawls feature "nupps" (the white dots, or little balls, on the shawls). Both of the previous shawls are triangular. Both of the previous shawls feature points along the edging. I love my lace light and airy. 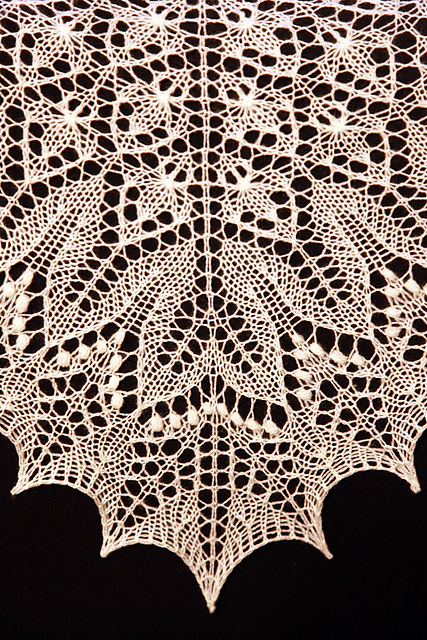 Large fields of plain stitching defeat the purpose of lace, in my opinion. A pattern with charts is a lot easier for me to follow. A minimum of yarn would be ideal. I'd hate to run out! I'd really like a free pattern! What do you think? Which of these four is your favorite? Come vote! Which shawl do you like best? Poll closes 11 Feb 2013. Kate here again with another recipe. This recipe comes from a cookbook compiled for my Sonberg family reunion held in 1999. I love recipes from these kinds of cookbooks for a few reasons. One being that people typically send their best and favorite recipes. Secondly, the stories behind them. The note with this recipe reads: "This is kinda interestin' to fix, but a lot more interestin' to eat." This has become one my children's favorite desserts partly because of the preparation method. This is a great cake to make if you're out of milk, eggs, or butter. Let's get started. Stir with a fork to mix. (I often use a wire whisk instead.) Form 3 wells in flour mixture. So I opened a new can of cocoa--a different brand than I usually buy. Those brown flecks are cocoa dots that didn't mix. It turned out fine in the end; it just looks weird here. Pour oil into one well, vinegar in one and vanilla in the last. Pour cold water over all ingredients and stir with fork until well mixed. Do not beat. Combine remaining sugar and cinnamon; sprinkle over batter. Bake in 350° oven for 35 to 45 minutes. I baked mine at 325° in a convection oven for 30 minutes. The cinnamon sugar makes a thin layer of crunchy topping. it would have been a shame not to do this. You choose. Put flour, 1 1/2 cup sugar, cocoa, soda, and salt into an ungreased 13x9x2" metal baking pan. Stir with a fork to mix. Form 3 wells in flour mixture. Pour oil into one well, vinegar in one and vanilla in the last. Pour cold water over all ingredients and stir with fork until well mixed. Do not beat. Combine remaining sugar and cinnamon; sprinkle over batter. Bake in 350° oven for 35 to 45 minutes. Enjoy! so that means it's time for a craft tutorial. It's Kristie from Kristie Kreates here. Today I'm going to show you how to make a card with a "quilted" background. Card stock. I'm using white, but you could use a different color. An ink blending tool with a foam pad. And a piece of acetate. I'm just using a piece of packaging that I saved. You will start in one corner and lay the acetate on a diagonal near the corner of the card stock. Using you ink blending tool, apply ink, rubbing the tool right up to and over the edge of the acetate. Move the acetate away from the inked edge and repeat the inking. Continue moving and inking. See how the ink is darker right along where the edge of the acetate was. This is the look you want. Apply the ink in circular motions, applying it close to the acetate first and working your way out, to leave more ink near the edge of the acetate. Continue inking until you have the entire piece covered. I know it doesn't look great right now, but it will. Now turn the acetate the opposite way and use the same process going the other way on the card stock. You should end up with a piece that looks something like this. If you want to make areas darker, you can lay that acetate down again and add more ink, or you can ink over the entire surface to get less light areas. It's all up to you and your taste. Now I put that aside to work on my focal image. I stamped it with VersaMark ink and embossed it with clear embossing powder. Once it was cooled I used a blending tool to apply the same color ink as the background. I fussy cut around the image and adhered it to some white card stock. Then I fussy cut around it leaveing a white border. Now to assemble the card. I cut the "quilted" piece down to 4" x 5 1/4"
Using the blending tool again, I added ink to the edges of the background piece. then used foam tape to layer the heart onto the card. Here is the finish card. I hope you have enjoyed this tutorial and will give this technique a try. It's fun and gives a little different look to a card. 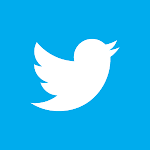 If you have any questions leave them in the comments and I will answer them as soon as possible. and see what else I've been up to. I have some great little helpers at my house. My boys, age 4 and 2 love to work in the kitchen. I've started training them on how to unload the dishwasher. Since I recently posted on how to clean your dishwasher, I thought you might enjoy these pictures--watch the sequence of events. 2yo can't quite reach the silverware in the back, so he climbs right in the dishwasher. Oops! Good thing big brother was there to break his fall! And after all that they still both love to help! Stay tuned for more tips in our cleaning series: 25 Places You Didn't Know Were Dirty and How to Clean Them! I'm planning to have several tips posted to kick-off your spring cleaning. I'm already craving deep-clean and warm weather! How about you? When do you get the itch for spring cleaning?